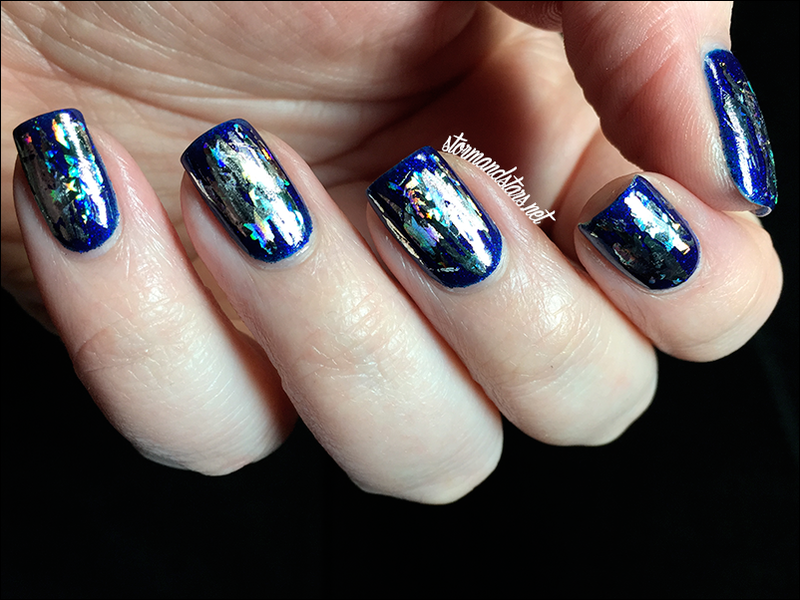 Back again this week with another Born Pretty Store nail art review for you! 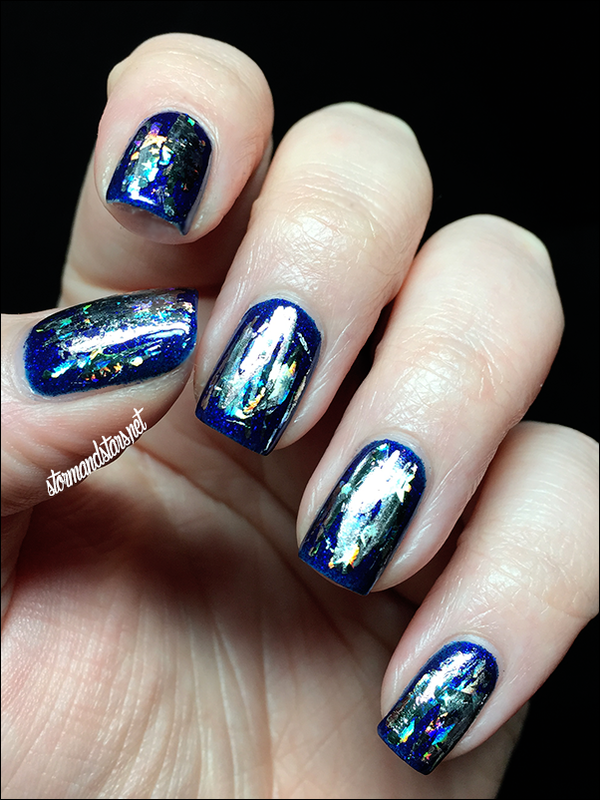 This time I am reviewing some silver holographic nail foil. It works like transfer paper, and you rub the foil onto your nail for an abstract effect. I really had fun with this. It was great to let go and not worry about perfection for once. 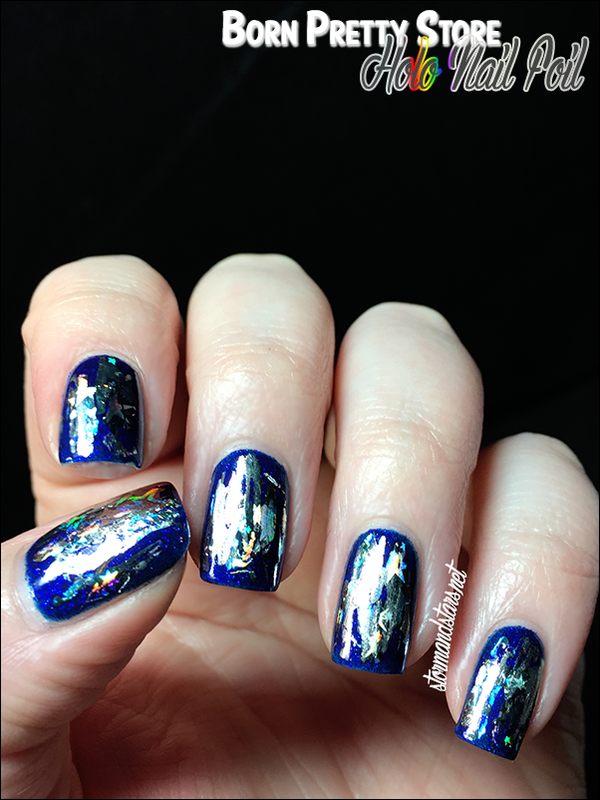 I started out with a dark base for this manicure because foil is bright silver and I really wanted it to stand out. My base here is Stardust Polish Back Seat Bingo. To apply the foil I started with a completely dry base color. This is a great way to refresh a mani that is a day or two old. I addeda coat of topcoat and waited for it to start drying, but be a little tacky still. Then I laid the sheet of foil over each nail and rubbed on the back, then lifted. Where I rubbed the back, the foil stayed adhered to my nail. I love the distressed look this gives while still being shiny and holographic. 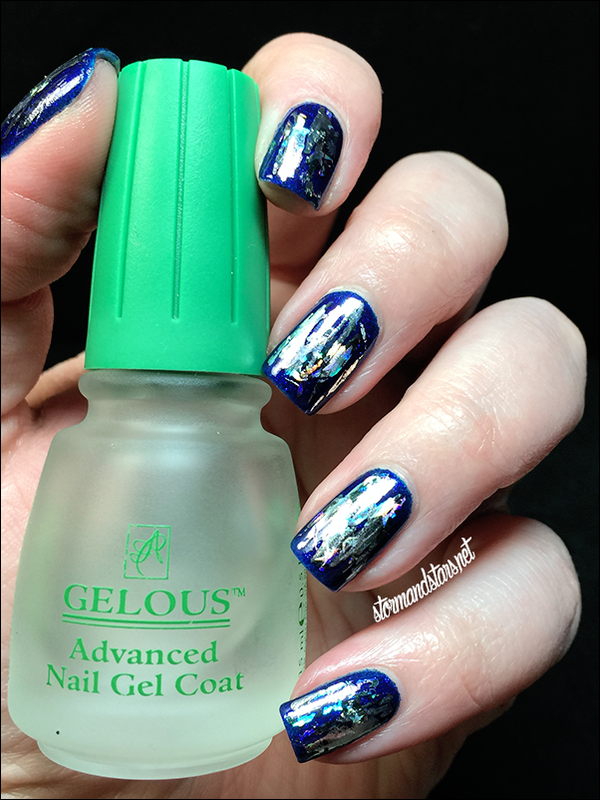 The one issue I found while using this foil is that I've seen that you shouldn't topcoat it, so I did not, but later that day when I used my cuticle oil, all the foil on my nails rubbed right off. I'll have to try using topcoat and see how it goes, but this may only be a one night mani. Overall I was really happy with the foil. I feel like it worked well and was easy to do. You can purchase Born Pretty Store Nail Foils over here. They retail for $1.99 USD and you can use them many times, as there is plenty on the sheet. Use my code AGBQ10 for 10% off your entire order. As always, Born Pretty Store provides free worldwide shipping on all orders!